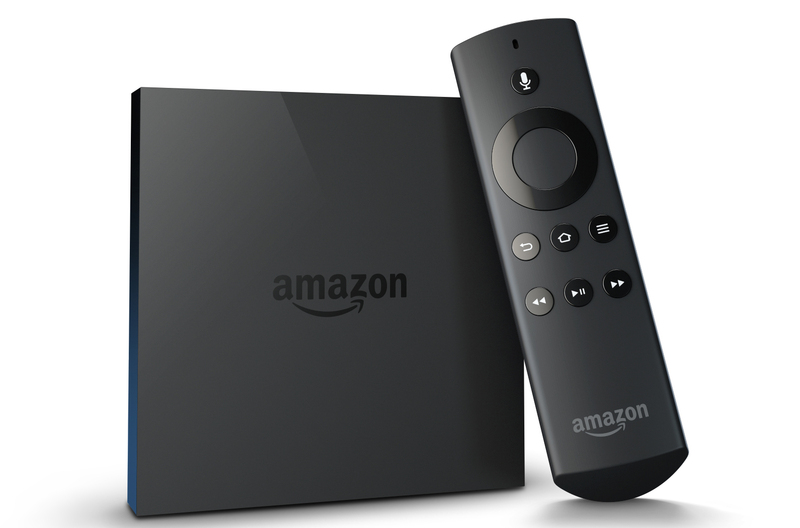 Amazon Finally Unveils New fireTV Streaming Thingy. What Is It? After years of speculation, reports, and rumors that Amazon was developing some sort of set-top box, the company finally pulled back the curtain on the long-awaited development this morning. It’s called the fireTV and it does just about everything you’d expect a new streaming service to do; perhaps more if your expectations were low. But is it worth it? Amazon began its presentation poking fun at the shortcomings of existing streaming add-ons like the Roku boxes and Apple TV, neither of which have the friendliest search functions and many of which have lag issues that can be frustrating to users. Another problem, Amazon contends, with existing streaming tech, is the “closed ecosystem” that generally only allows users access to services specifically made available on a particular device. “It drives me bananas that I can’t watch my Prime Instant Video on my Apple TV,” said Amazon’s Peter Larsen. The $99 fireTV, which begins shipping today, resembles a really thick CD case, or a Mac Mini that’s been flattened to about 1″ thick and painted black. So… it sorta looks like an Apple TV, but without the rounded corners. Amazon says it gets over the speed issue by having 2GB of RAM and a dedicated graphics processor. It also has dual-band, dual antenna WiFi, “So that videos start streaming immediately”… assuming you have a good WiFi connection, of course. According to Amazon, the fireTV is three times faster than Apple TV, Roku, or Chromecast. Unlike some Amazon streaming apps that don’t allow you to rent or purchase content, the fireTV includes the ability to make these transactions without having to go online to the Amazon website. A feature called ASAP predicts the content you’re most likely to want to watch and queues it up so that you can watch it instantly without having to wait for loading times. The fireTV is launching with a multitude of apps available from various services — Amazon (obviously), Netflix, Hulu Plus, MLB.tv, Showtime Anytime, NBA, Crackle, Vimeo, ESPN, Pandora, and others. That is, unless you’re a FiOS customer, in which case the easiest place to watch Netflix is at your friend’s house with a different ISP. The device’s remote control as a built-in microphone that allows the user to do a voice search without the frustration or awkwardness experienced by some voice search systems. The fireTV will also allow for Amazon Cloud storage users to back up photos from their phone and have access to them on their TVs. These photos could be used as your screensaver when device is idle. Just make sure you’re not inadvertently uploading photos that not everyone is supposed to see. For parents, there is a mode called “Free Time” that is an interface with a distinctive look and feel for kids. It has a different background color and other visual cues to let parents know easily that their kids are indeed watching kids content. Additionally, it Free Time requires a password to exit, so the youngsters can’t just switch to the other, more adult stuff the second you leave the room (unless you tell them the password, which defeats the entire purpose). And like the parental controls on the Kindle Fire tablets, parents can set time limits on Free Time so that their children are limited in the loafing they can do. Rather than try to compete with console gaming giants like Microsoft and Sony, Amazon is trying to bring the tablet/smartphone gaming experience to the living room with the fireTV, says Mike Frazzini from Amazon Game Studios. The company says it will have thousands of games from industry biggies like Disney, EA, Ubisoft, 2K and others within the next month. Games can be played using the fireTV’s remote, an app or a $40 proprietary controller that is sold separately from the fireTV. Judging by what Amazon has said and the initial impressions of those at the demo, the fireTV may be an improvement on the already-available streaming devices, but it’s not exactly next-generation, earth-shattering stuff. The addition of games does add a new dimension, and people who aren’t already invested in consoles may see it as an affordable way to get the fun of playing games on their TV without the cost of an Xbox One or PS4. The $99 price tag puts it above the Chromecast and some Roku devices, and the same price as the Apple TV. That feeling may change — in either direction — whenever we actually get our hands on fireTV in a real home environment.